I’ve just returned from CHEA–which for those readers outside of California is the California Home Educators annual conference held in Pasadena. I spoke there a number of times and had the delightful opportunity to connect with many of you and I hope you’ll subscribe to the blog so we can continue to keep in touch! We talked and talked and talked some more about good books and it was wonderful to hear your stories about how good books have changed your lives! One beautiful young mother came up and shared how hearing me talk about the power of good books a few years ago had totally changed the direction of her family’s home schooling journey and delightfully so. They decided to scrap the textbooks and entered on the wonderful journey of literature! Thank you, Monica for sharing! Loretta persevered in her commitment to the power of literature over a traditional academic approach despite the often disparaging comments of friends–you know, the “What do you actually do for school?” “Well, we read great literature.” “Oh . . . really–is that all?” Loretta’s disparaging friends were quite surprised to find her literature rich son accepted to West Point where he is currently in his third year. Many testimonials like this encouraged us to continue to press on sharing our passion and commitment to the canon of literature for its own sake. So here’s another all-time favorite for summer reading, family read-aloud, character building books. This one is particularly dear to my heart because it offers fathers a sure bet for a read-aloud experience they will look forward to each night! Little Britches: Father and I Were Ranchers is the powerful true story of young Ralph Moody, who in 1906 moves from New Hampshire to Colorado with his family. Through young Ralph’s eyes we experience the hair-raising adventures of a passionate, impetuous young boy as he and his father attempt to carve out a ran ching life amidst the perils of tornadoes, water wars, flash floods, and grinding poverty. Ralph’s perspective offers a lens into the character of a father committed to raising Ralph to be honest at his core. The tender pathos of their conversations, the father’s profound strength when faced with overwhelming difficulties and his devotion to his son all offer lessons rare in our day. The sequel to Little Britches is Man of the Family. Following this there are 5 more titles in the series. Every family should experience the wonder of these books at some time in the life of their family. 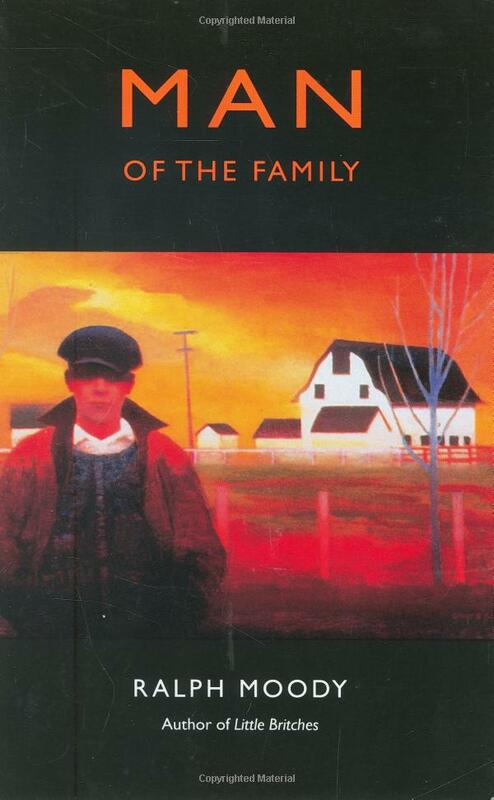 We are currently reading Man of the Family to our daughters aged 10 and 15. They love them and beg for more most nights (excepting the ones where we don’t get to read-aloud time till after 9 or 10 pm! Well, it is summer after all!). For our family, this is probably the third time over the years reading this series and repeated readings only increases our devotion. If you’ve enjoyed these books with your family, please let us know your thoughts and how these books impacted you. No, THANK YOU, Rea, for all you shared this weekend!!! I only missed your first talk but like I shared with you, you blessed me immensely!! And, if you remember, now my friend, Cindy, cried over Runaway Bunny and has read it to her girls!!! My husband will begin reading Little Britches to the children after he finishes Little Pilgrim’s Progress this week. We are all looking forward to this new series. Well, I could just listen to you speak for hours! So, please keep us informed as to when your speaking engagement will be here in Orange County! Thank you again and may the Lord continue to richly bless your ministry! I really enjoyed this book!!!!!! Every family needs to read this amazing book!!!! You are right, can you imagine how good it made my heart feel that he remembered this, and enjoyed reading it to the kids enough to want to finish? I am so glad to have found your blog. I even shared it in a post, so all my readers (only 53:) can come and be blessed by you. Thank you Kathi for a wonderful comment! How delightful to know how much these book resonate with men and inspire them to read to their children. I love that. Thank you, Kathi to you and your husband for your service and sacrifices for our country. Thank you Kathi for your kind words. I’m delighted to hear the story about Little Britches as that is one of our all time fammily favorites!